…if Clinton supporters were hoping to reduce the final margin to single digits, they didn’t come close. Bernie Sanders bested Clinton by 22 points (!!!) in a state she carried in the 2008 presidential contest. And the exit poll numbers seem even worse, even among the groups Clinton is supposedly strong with: Sanders beat her among women by 11 points (55%-44%), Democrats (52%-48%), and moderates (58%-39%). He crushed her among his core groups, winning young voters (83%-16%), independents (72%-25), and liberals (60%-39%). And then there are these terrible numbers: Clinton lost among Democrats caring the most about honest and trustworthiness by 86 points (91%-5%), and she even lost among the Dems who want their candidate to care about people like them by 65 points (82%-17%). Warning sign: Caring about people like them is the Bill Clinton brand, folks!!! This disputes all the arguments from the pundits as to why Sanders cannot win. The Sanders campaign is not a replay of Howard Dean, who lost in both Iowa and New Hampshire. It is not a futile left wing insurgency, with Sanders winning among almost the same margin among moderates as liberals. This is not a campaign which is destined to go down to defeat in a general election like George McGovern. It was Sanders who brought in the independent vote which will be necessary to win the general election. Clinton’s base is increasingly limited to older, hard line Democratic voters. Sanders creates the big tent needed to win a general election, and to change the composition of Congress. Clinton’s loss is largely because voters do not trust her, but that is not the only reason. If voters wanted an honest but conventional Democratic candidate this year, this would be a race between Martin O’Malley and Hillary Clinton, with Bernie Sanders far behind. It will still be a tough race for Sanders considering the degree of establishment support for Clinton. He has one advantage which insurgent candidates lack–money. 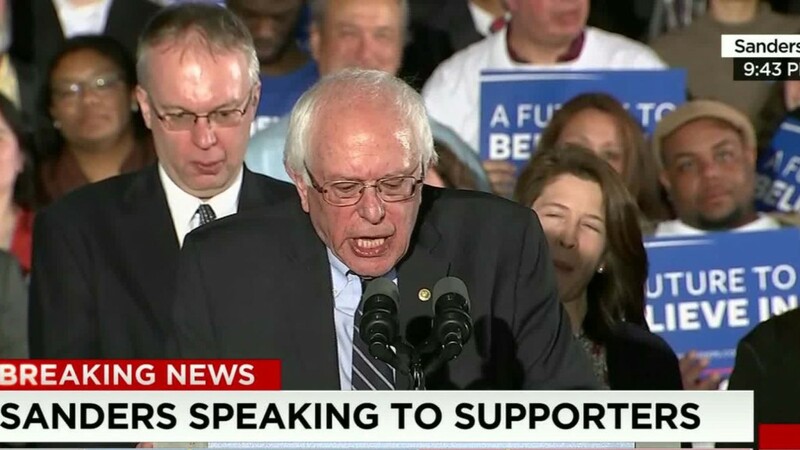 Sanders raised $5.2 million dollars after the polls closed in New Hampshire. The average contribution was $34, and these contributors can continue to contribute numerous times without approaching the limit. There was talk on social media of everyone contributing to match the amount of Sanders’ victory. Fortunately many contributors went beyond that. Clinton is still considered the favorite by many pundits due to her support among minorities. As I discussed recently, her firewall is no guarantee. Sanders does not need the overwhelming support among minorities which Obama received due to picking up other groups, such as white working class voters who tended to vote for Clinton in 2008. Minority voters did not switch from Clinton to support Obama until after he showed that his campaign was real with early primary victories. Even worse for Clinton, many are now looking back at how devastating Bill’s policies, which she supported, were for minorities. Articles on the topic have suddenly popped up all over. The Nation writes, Why Hillary Clinton Doesn’t Deserve the Black Vote. Mother Jones reports, Two Prominent Black Intellectuals Just Delivered More Bad News for Clinton. The news extends to the mainstream media with The Washington Post reporting, Author of ‘The New Jim Crow’: Hillary Clinton doesn’t deserve the support of black voters. Hillary Clinton won the Iowa caucus by a fraction of one percent thanks to the arcane rules of the Iowa caucus and the luck of winning the coin toss six out of six times when it decided delegates. Sanders has requested that the actual raw vote be released. 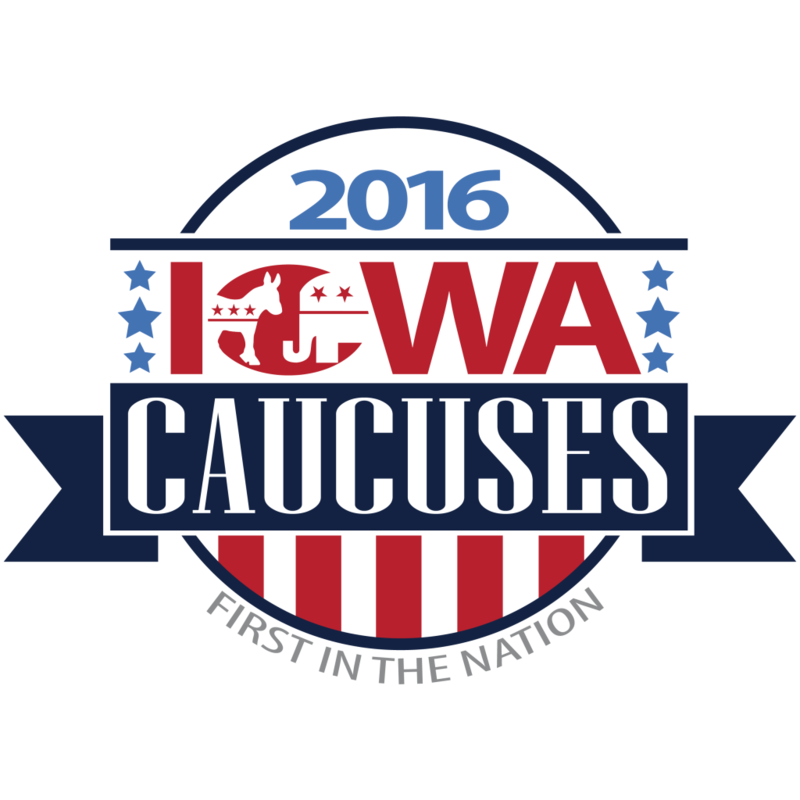 It will probably not be done in accordance with the Iowa caucus rules, but it was a smart move to make. There is an excellent chance that Sanders won the popular vote but received slightly fewer delegate equivalents (which were announced) due to his vote being more concentrated in college towns. Plus the anti-Clinton delegates to the state convention could easily out-number the pro-Clinton delegates when those won by Martin O’Malley, who dropped out of the race, are considered. It remains to be seen how significant Clinton’s narrow win will be considered when it came down to coin tosses and the arcane Iowa caucus rules to pick delegate equivalents, along with some questions as to the accuracy of the results leading to some calls for a recount. Even an article at The Des Moines Register Tuesday evening questions if the correct winner was called. 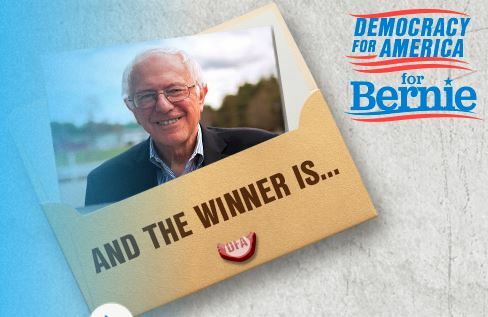 A tie will be as good as a win if it brings in enough contributions and if it raises attention for Sanders sufficiently for him to get his message to more minority voters. So far it looks like it was enough in terms of fund raising, and nobody knows what will happen in terms of improving Sanders’ support nation wide. Iowa might not matter after Sanders wins in New Hampshire. A major strategy of the Clinton campaign has to claim that Sanders could not win, just as they claimed this eight years ago about Obama. 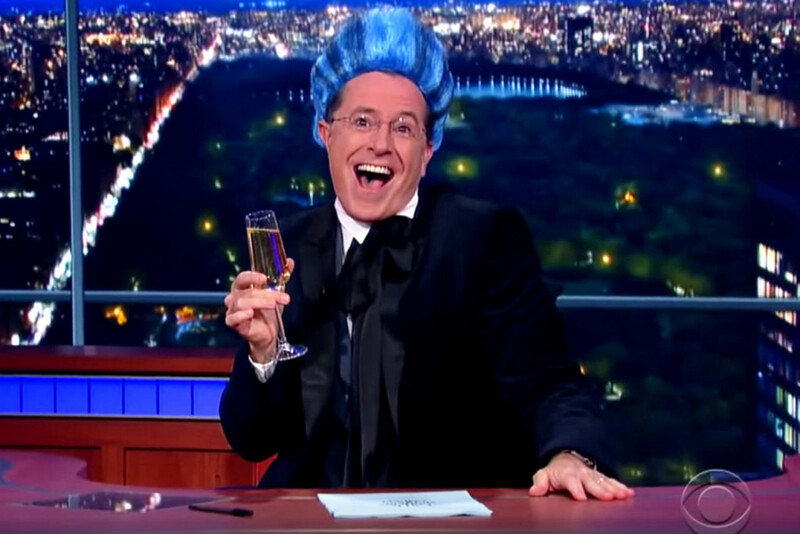 (Showing how little things have changed, they also claimed Obama was too liberal). The Clinton camp spreads claims that Sanders’ support is limited to young white males. While there is a generational divide, the gender divide is exaggerated as young millennial women are often backing Sanders. They have created the myth of a firewall in the south as the Clinton camp ignores the inroads Sanders has made among minorities the last several months. Eight years ago, at the time of the Iowa caucus, Clinton also had a strong national lead in the national polls and among black voters. It wasn’t until Obama beat her in Iowa and showed that his campaign was for real that the campaign changed. Minorities subsequently shifted towards Obama, and Obama eventually moved ahead of Clinton in the national polls. Besides being likely to continue to improve his support among minority voters, Sanders is also making gains among less affluent whites, including in the south, which might provide votes to balance Clinton’s diminishing advantage with minorities. Sanders support is rapidly growing. In contrast, Clinton’s support was more limited “to older, frequent caucus-goers.” This was enough for the narrow victory in Iowa, but might not be enough in primary states where relative turn out is higher, and she cannot count on the Iowa caucus rules to tilt the results. A tie for Sanders will be as good as a win if it brings in enough contributions, and if it raises attention for Sanders sufficiently for him to get his message to more voters. So far it looks like it was enough in terms of fund raising, and we do not know yet what will happen in terms of improving Sanders’ support nation wide. Neither campaign was able to do serious harm to the other with a meaningful win in Iowa. It largely comes down to bragging rights. Clinton can say she won, despite headlines like How Iowa Went Wrong For Hillary Clinton. She did avert disaster which she might have faced if she had lost by a significant amount as in 2008. Bernie Sanders made a statement that he should be paid attention to. We don’t have to settle for Hillary. 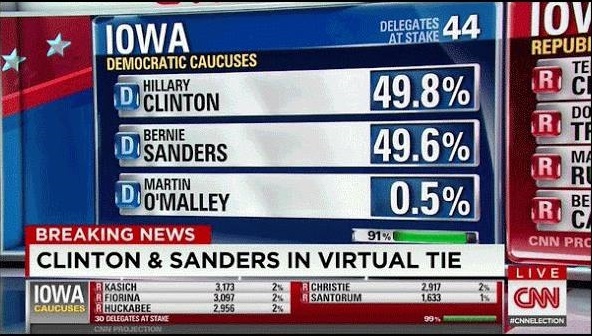 Iowa did show that Clinton is beatable. It also showed that she is not a very good candidate. Iowa was essentially a tie, and maybe it is for the best that a small state like Iowa did not becoming the determining factor in what could be a long race over significant ideological differences. Previously Clinton admitted she was a centrist when she thought the nomination was more secure, and she has been attacking Sanders from the right. In her speech last night, she flip flopped again, claiming to be a progressive, seeing where the party is headed. The Democratic caucus in Iowa is too close to call and will come down to turnout, along with other factors seen in a caucus as opposed to a primary. The final Des Moines Register/Bloomberg Poll before the Iowa Caucus showed Hillary Clinton leading Bernie Sanders with 45 percent compared to 42 percent. The three point lead is within the poll’s margin of error at four percent. Martin O’Malley trails at three percent. The final Quinnipiac University Poll, coming out this morning, has Sanders leading Clinton by three points, also within the margin of error. While I have often pointed out the limitations of polls before primaries, the final Des Moines Register poll is probably the most likely to be predictive. Among its virtues, it does not exclude voters based upon past lack of participation in the caucuses as many other polls do. While it has a better track record than other polls, it still suffers from the same problem of all pollsters in not knowing who will actually turn out. Traditional Democratic voters favor Clinton while more independent voters strongly favor Sanders, but we don’t know how many of them will participate in the caucuses. Higher turn out than usual would increase the chances of a victory for Sanders. Being a caucus rather than a pure primary vote creates additional questions. A candidate has to meet a fifteen percent threshold for their vote to count towards selecting delegates in the Democratic caucus. If they do not meet this threshold, then the second choice becomes crucial. Greater support for Sanders than Clinton among O’Malley supporters nearly erases Clinton’s lead if the votes go to Sanders. However, Buzzfeed reports on how the Clinton campaign is trying to game the system by having some of their supporters back O’Malley so that he will meet the fifteen percent viability requirement to keep his supporters from going to Sanders. Of course plotting such a strategy and getting Iowa voters to go along are two different things. I recall how Clinton protested over similar actions by the Obama campaign eight yeas ago. Bloomberg has more background on Clinton’s strategy in Iowa–basically doing the opposite of what she did in 2008. Another question is the consequence of the difference in date for the caucus this year compared to 2008, when Obama came in first and Clinton came in third. The 2008 caucus occurred on January 3, when many college students were still on vacation, and possibly out of the state. Will having the caucus occur after students have returned to school provide an additional benefit to Sanders? On the other hand, will college students be more likely to caucus near their campus as opposed to at homes throughout Iowa. There is the danger that this will lead to Sanders having huge leads in some areas, such as Iowa City and Ames, while not doing as well as Obama did in other parts of the state. This could result in Clinton picking up more delegates statewide even if Sanders narrowly wins the popular vote. The Sanders campaign is urging students to “Go Home for Bernie” to vote throughout the state but such travel plans might be complicated by a major storm expected to hit Iowa later tonight. With turnout so important, Sanders supporters hope that the large turnout at his events indicate a greater likelihood of turning out to caucus. Chris Cillizza compared turnout at a Sanders versus Clinton event over the weekend but it is not known how significant this will be in the caucus results. Donald Trump leads among the Republicans at 28 percent with Ted Cruz in second place at 23 percent in the Des Moines Register/Bloomberg Poll. However, Trump has a weak ground game making it possible for an upset. I also wouldn’t be surprised if candidates such as Rubio, or even Ben Carson, do better than expected. The usually confident Trump is admitting to being a “little bit nervous” going into tonight’s vote. As she tried, and failed, eight years ago, Hillary Clinton has been running a campaign based upon inevitability. There’s no need to pay any attention to the young/old guy running against her as there was no chance she would lose. Just look at her big lead in the polls. Except now that lead has dwindled away. The first sign of bad news for Clinton came over the weekend with the NBC News/Wall Street Journal/Marist College poll showing Clinton only slightly ahead in Iowa and Sanders holding a slight lead in New Hampshire. This led to headlines this morning such as Bernie Sanders In Striking Distance. As Iowa is a caucus and not a primary, I also wonder what would happen with Martin O’Malley’s supporters as, assuming this poll result holds, he would not have enough support to meet the fifteen percent threshold. His supporters would have to go to their second choice. If a majority of his supporters go to Sanders, this could be enough to give Sanders the victory. Or maybe he won’t need to pick up O’Malley’s support. 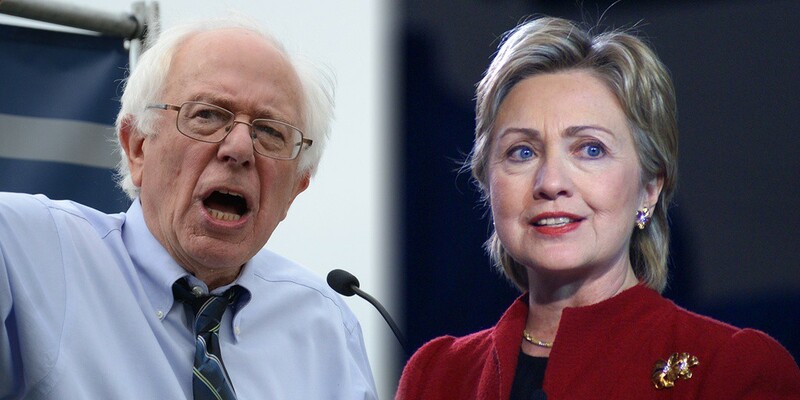 An American Research Group poll has Sanders leading Clinton 47 percent to 44 percent. He also leads in New Hampshire by the same margin. Previously I though that Clinton would maintain her lead in the national polls until the Iowa or New Hampshire votes and then Sanders would start moving up nationally if he won there. He might not even need to wait for this. The IBD/TIPP Poll has Clinton’s lead over Sanders nationally at 4 points, down from an eighteen point lead. The IBD/TIPP Poll shows that regionally, Clinton saw her support drop most in the Northeast (where it fell to 36% from 50%) and the West (37% down from 49%). Sanders now holds the lead in both places. Clinton support also tumbled among suburban voters, dropping to 39% from last a month’s 50%. 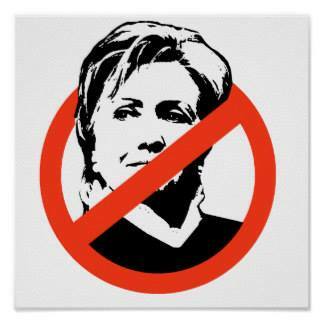 And she has lost backing among moderate Democrats, falling to 44% from 58%. Sanders picked up 10 points among moderates, to 37%. Polls before primaries have a poor track record of predicting the winner, and the final results could be quite different from what we are seeing today. I also wouldn’t be surprised to see both candidates moving up and down in the polls over the next few weeks. What this does show is that the this is a race either candidate can win, and a Clinton victory is not inevitable. The growing number of polls which show Sanders doing better than Clinton in head to head match-ups against Republicans further undermines Clinton’s argument. The third Democratic Debate (transcript here) was most significant for Sanders doing his best job yet in the debates of taking on Hillary Clinton on foreign policy. Unfortunately, with the debate airing on the Saturday night before Christmas, The Guardian might have it right in this headline: Sanders outshone Clinton on foreign policy at the debate. But who watched? Both Sanders and O’Malley were also critical of Clinton’s Wall Street ties and economic views. 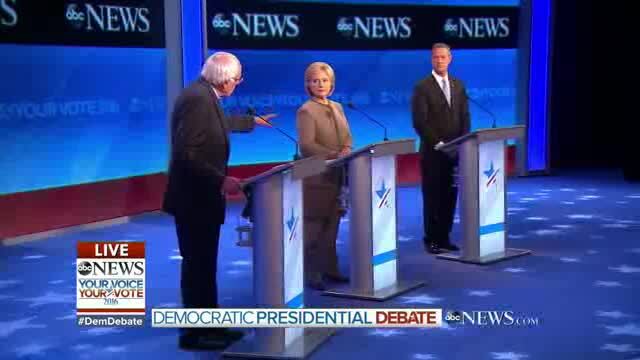 During much of the evening I felt like I was watching a debate between two Democrats and a Republican. I am running for president of the United States because it is too late for establishment politics and establishment economics. I’m running for president because our economy is rigged because working people are working longer hours for lower wages and almost all of new wealth and income being created is going to the top one percent. I’m running for president because I’m going to create an economy that works for working families not just billionaires. I’m running for president because we have a campaign finance system which is corrupt, where billionaires are spending hundreds of millionaires of dollars to buy candidates who will represent their interests rather than the middle class and working families. I’m running because we need to address the planetary crisis of climate change and take on the fossil fuel industry and transform our energy system away from fossil fuel to energy efficiency and sustainable energy. I’m running for president because I want a new foreign policy; one that takes on Isis, one that destroys ISIS, but one that does not get us involved in perpetual warfare in the quagmire of the Middle East but rather works around a major coalition of wealthy and powerful nations supporting Muslim troops on the ground. That’s the kind of coalition we need and that’s the kind of coalition I will put together. Not only — not only do I apologize to Secretary Clinton — and I hope we can work together on an independent investigation from day one — I want to apologize to my supporters. This is not the type of campaign that we run. And if I find anybody else involved in this, they will also be fired. Clinton appeared shocked, as if she didn’t see this coming. Such an honest response to a scandal is so foreign to her. The problem with citing a single vote against any Senator is that bills contain multiple items, and it is possible that Sanders voted against the amendment based upon details unrelated to the general issue. This vote took place in 1996 and in more recent interviews Sanders has not been able to recall the specifics of why he voted against this at the time. More importantly, Sanders now favors funding for this research. All three candidates are strongly promoting gun control. And we also need to make sure that the really discriminatory messages that Trump is sending around the world don’t fall on receptive ears. He is becoming ISIS’s best recruiter. They are going to people showing videos of Donald Trump insulting Islam and Muslims in order to recruit more radical jihadists. So I want to explain why this is not in America’s interest to react with this kind of fear and respond to this sort of bigotry. The fact check sites, including Factcheck.org, states that no such video exists. This is apparently as fictitious as the videos which Carly Fiorina claimed to have seen regarding Planned Parenthood at the second Republican debate. Secretary Clinton, you too have ruled out a large U.S. combat force, yet you support sending in special operations forces to Syria, and sending those 100 to 200 troops to Iraq to do exploitation kill raids. We’ve already lost one Delta Force member in a raid. It has looked very much to me like we’re already in ground combat on frequent trips I’ve made there. Secretary Clinton, I want — I want to follow up on that. You do support sending special operations forces there. You support what the president has done already. One of the lessons people draw from Vietnam and war since is that a little force can turn into a little more and a little more. President Obama certainly didn’t expect to be sending 30,000 additional troops into Afghanistan the first year of his presidency. Are you prepared to run the risk of a bigger war to achieve your goals to destroy ISIS, or are you prepared to give up on those goals if it requires a larger force? I have a difference of opinion with Secretary Clinton on this. Our differences are fairly deep on this issue. We disagreed on the war in Iraq. We both listened to the information from Bush and Cheney. I voted against the war. But I think — and I say this with due respect — that I worry too much that Secretary Clinton is too much into regime change and a little bit too aggressive without knowing what the unintended consequences might be. Yes, we could get rid of Saddam Hussein, but that destabilized the entire region. Yes, we could get rid of Gadhafi, a terrible dictator, but that created a vacuum for ISIS. Yes, we could get rid of Assad tomorrow, but that would create another political vacuum that would benefit ISIS. So I think, yeah, regime change is easy, getting rid of dictators is easy. But before you do that, you’ve got to think about what happens the day after. And in my view, what we need to do is put together broad coalitions to understand that we’re not going to have a political vacuum filled by terrorists, that, in fact, we are going to move steadily — and maybe slowly — toward democratic societies, in terms of Assad, a terrible dictator. But I think in Syria the primary focus now must be on destroying ISIS and working over the years to get rid of Assad. That’s the secondary issue. With Clinton lacking any arguments of substance to defend her views, Clinton resorted to her usual tactic of deception. She tried to deflect from such criticism, and deny the substantial difference in their views, by distorting Sanders’ record in saying, “With all due respect, senator, you voted for regime change with respect to Libya. you joined the Senate in voting to get rid of Qaddafi.” As Politico pointed out after the debate, the vote referred to a nonbinding resolution he voted for, which asked the dictator to “desist from further violence, recognize the Libyan people’s demand for democratic change, [and] resign his position.” This was hardly comparable to the removal of Qaddafi by force which Clinton backed. During the Cold War — during the Cold War, we got into a bad habit of always looking to see who was wearing the jersey of the communists, and who was wearing the U.S. jersey. We got into a bad habit of creating big bureaucracies, old methodologies, to undermine regimes that were not friendly to the United States. Look what we did in Iran with Mosaddegh. And look at the results that we’re still dealing with because of that. I would suggest to you that we need to leave the Cold War behind us, and we need to put together new alliances and new approaches to dealing with this, and we need to restrain ourselves. I mean, I know Secretary Clinton was gleeful when Gadhafi was torn apart. And the world, no doubt is a better place without him. But look, we didn’t know what was happening next. And we fell into the same trap with Assad, saying — as if it’s our job to say, Assad must go. We have a role to play in this world. But we need to leave the Cold War and that sort of antiquated thinking behind. O’Malley was strong in criticizing Clinton’s ties to Wall Street and pointed how in the second debate she “very shamefully, she tried to hide her cozy relationship with Wall Street big banks by invoking the attacks of 9/11.” Clinton down played her contributions from Wall Street by ignoring her super PAC contributions, while Sanders pointed out, “Secretary Clinton, I don’t have a super PAC. I don’t get any money from Wall Street.” I am even more concerned about the corrupting effects of the contributions to the Foundation and unprecedented speaking fees paid to her husband. But Secretary Clinton is wrong. As you know, because I know you know a lot about health care. You know that the United States per capita pays far and away more than other country. And it is unfair simply to say how much more the program will cost without making sure that people know that, we are doing away with cost of private insurance and that the middle class will be paying substantially less for health care on the single payer than on the Secretary’s Clinton proposal. 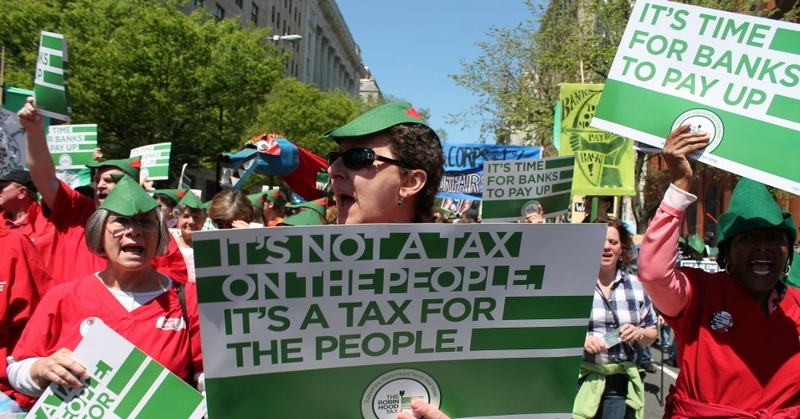 Number one, most important economic reality of today is that over the last 30 years, there has been a transfer of trillions of dollars from the middle class to the top one-tenth of one percent who are seeing a doubling of the percentage of wealth that they own. Now, when Secretary Clinton says, “I’m not going raise taxes on the middle class,” let me tell you what she is saying. She is disagreeing with FDR on Social Security, LBJ on Medicare and with the vast majority of progressive Democrats in the House and the Senate, who today are fighting to end the disgrace of the United States being the only major country on Earth that doesn’t provide paid family and medical leave. Well, this whole issue concerns me. And I agree with much of what the secretary and the governor have said. But let’s be clear. Today in America we have more people in jail than any other country on earth, 2.2 million people. Predominantly African-American and Hispanic. We are spending $80 billion a year locking up our fellow Americans. I think, and this is not easy, but I think we need to make wage a major effort, to come together as a country and end institutional racism. We need major, major reforms of a very broken criminal justice system. Now, what does that mean? Well, for a start it means that police officers should not be shooting unarmed people, predominantly African-Americans. It means that we have to rethink the so-called war on drugs which has destroyed the lives of millions of people, which is why I have taken marijuana out of the Controlled Substance Act. So that it will not be a federal crime.That is why we need to make police — and I speak as a former mayor. I was a mayor for eight years, worked very closely with a great police department. And what we did is try to move that department toward community policing, so that the police officers become part of the community and not, as we see, in some cities an oppressive force. We need to make police departments look like the communities they serve in terms of diversity. We need to end minimal sentencing. We need, basically, to pledge that we’re going to invest in this country, in jobs and education, not more jails and incarceration. Secretary Clinton, I want to circle back to something that your opponents here have brought up. Libya is falling apart. The country is a haven for ISIS and jihadists with an estimated 2,000 ISIS fighters there today. You advocated for that 2011 intervention and called it smart power at its best. And yet, even President Obama said the U.S. should have done more to fill the leadership vacuum left behind. How much responsibility do you bear for the chaos that followed elections? Secretary Clinton, I want to go back. That — government lacked institutions and experience. It had been a family business for 40 years. On the security side, we offered only a modest training effort and a very limited arms buy-back program. Let me ask you the question again. How much responsibility do you bear for the chaos that followed those elections? SANDERS: Look, the secretary is right. This is a terribly complicated issue. There are no simple solutions. But where we have a disagreement is that I think if you look at the history of regime changes, you go back to Mossaddegh (ph) in Iran, you go back to Salvador Allende who we overthrew in Chile, you go back to overthrowing Saddam Hussein in Iraq, you go back to where we are today in Syria with a dictator named Assad. The truth is it is relatively easy for a powerful nation like America to overthrow a dictator but it is very hard to predict the unintended consequences and the turmoil and the instability that follows after you overthrow that dictator. So I think secretary Clinton and I have a fundamental disagreement. I’m not quite the fan of regime change that I believe she is. The force was strong in Bernie Sanders, while Hillary Clinton (and Debbie Wasserman Schultz) have been taken away by the dark side. Democratic presidential candidate Bernie Sanders is set to pick up one of his biggest endorsements yet Thursday from the powerful Communications Workers of America union, sources told NBC’s Andrea Mitchell. The group represents some 700,000 workers nationally, making it by far the largest union to back Sanders yet. Bernie Sanders picked up his second significant progressive endorsement of the day on Thursday afternoon, and this one might sting for Hillary Clinton. Democracy For America, the 1 million-member liberal group that helped stoke much of the pro-Elizabeth Warren movement early in the 2016 election cycle, is backing the independent Vermont senator after he earned 88 percent of the over 270,000 votes cast in the group’s online membership poll, compared with 10 percent for Clinton and 1 percent for both Martin O’Malley and the option not to endorse at all. The move is significant given DFA’s high threshold for endorsing. The group has existed since 2004, and no candidate had ever previously made it past the two-thirds mark necessary for the nod — which will come with fundraising help and an on-the-ground organization in Iowa, New Hampshire, South Carolina and Nevada, DFA executive director Charles Chamberlain wrote in an email due to go to supporters on Thursday. As the strong establishment candidate, Hillary Clinton remains far ahead of Sanders in terms of endorsements, but it is likely that many union members will vote for Sanders regardless of the position of their union leadership. I am not surprised that the DFA’s threshold to endorse a presidential candidate was met for the first time this year. With Hillary Clinton’s move to the right during this campaign, in addition to her overall conservative record and political philosophy, this represents a clear choice between a liberal and conservative candidate for the Democratic nomination. Clinton’s positions are generally contrary to the views which led many liberals to get involved in politics and groups such as Democracy for America. Aides to Bernie Sanders said Wednesday night that his campaign has now collected more than 2 million contributions and that they expect to outpace President Obama’s 2012 reelection effort on that count by the end of the year. Sanders has already taken in more individual contributions than Obama did at this point in his 2008 campaign for president. Aides to Sanders said they are confident by the end of the year, Sanders will have more than the 2.2 million donations that Obama did during the equivalent stretch in the 2012 race. There seems to be a whole cottage industry of writing articles to whitewash Hillary Clinton’s record. This includes articles which claim Clinton is a liberal or that she is not as hawkish as she is considered to be. Both types of articles accomplish this by taking a very limited view of Clinton’s overall record. Now there is an attempt in The New Yorker to really obfuscate matters, going directly at Sanders’ strength. Gary Sernovitch wrote an article entitled What Hillary Clinton Gets (and Bernie Sanders Doesn’t) About Wall Street. While the article admits that Clinton’s plan (described by Martin O’Malley as “weak tea”) wouldn’t fundamentally the issues with Wall Street, Sernovitch claims, “her experience with the realities of the world equips her with the tactics to handle big, complicated issues.” Clinton’s experience with the realities of the world has not paid off very well in the past considering how often Clinton has been wrong on the issues when Sanders was right, with Clinton only later admitting to her previous mistakes. We’ve seen her botch the big issues such as Iraq and health care reform. More recently she has flip-flopped on selected issues to try to attract progressives in the current primary race. The New Yorker ran a rather confused piece on Gary Sernovitz, a managing director at the investment firm Lime Rock Partners, on whether Bernie Sanders or Hillary Clinton would be more effective in reining in Wall Street. The piece assures us that Secretary Clinton has a better understanding of Wall Street and that her plan would be more effective in cracking down on the industry. The piece is bizarre both because it essentially dismisses the concern with too big to fail banks and completely ignores Sanders’ proposal for a financial transactions tax which is by far the most important mechanism for reining in the financial industry. It is incredible that Sernovitz would ignore a policy with such enormous consequences for the financial sector in his assessment of which candidate would be tougher on Wall Street. Sanders FTT would almost certainly do more to change behavior on Wall Street than everything that Clinton has proposed taken together, by a rather large margin. Leaving out the FTT in this comparison is sort of like evaluating the New England Patriots’ Super Bowl prospects without discussing their quarterback.